replacing your roof in the future. suggest the best solution to your problem. properties. We have been established since 1961. We fix minor problems so they don't become major ones in the future. roof is in good condition before the season begins. whenever you need us we're here to help! let you know what's important and what can wait. referrals than any other roofer. take your call, we always call you right back. The changing seasons bring with them an array of difficulties that homeowners and business owners need to face, time and time again. Celebrating over 55 years in business. Serving both Nassau and Suffolk County, Clearview Roofing has the experience to execute your roof job professionally and at a fair price. We are a Timberline GAF certified Roofer here in Long Island New York. 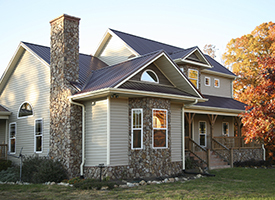 We install Certainteed, Owens Corning and Tamko Roofing products as well. Experts at slate roofing and flat roofs, you can trust Clearview! Don’t believe just our word but rather inspect what you expect. We are proud to announce that we are the highest reviewed and highest rated roofing contractor on the Homeadvisor service with over 300 reviews and growing with a 4.9 out of 5 rating. We have won Angie’s List super service awards consecutive years in a row. Why chose Clearview Roofing of Long Island? We will stand behind our work. Whether it is a Free Estimate or help with a Roofing insurance claim, Clearview Roofing of long island is your family owned and operated company based in Northport and Port Washington NY. 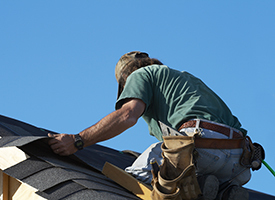 There are several Long Island Roofing companies to chose from. Clearview Roofing will stay competitive without sacrificing integrity or materials on your job. Please google us for reviews. We would love to earn your trust and business. Clearview Roofing of Long Island NY services both Suffolk and Nassau County. We are licensed and insured. We can easily let you know if there are shingles that need to be replaced, flashing that needs to be fixed or any other problems that could become major issues down the line. We’ll report what we find and discuss your options for repair. We’ll even check your gutters and downspouts to ensure that the water from your roof won’t collect and cause other problems for you. 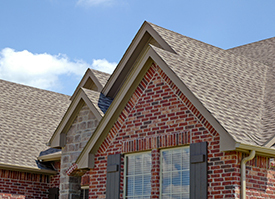 Call Clearview Roofing today to schedule your free in-home consultation and estimate. Whether you need to replace your entire roof, or have a simple roof repair job, we’re here to help!